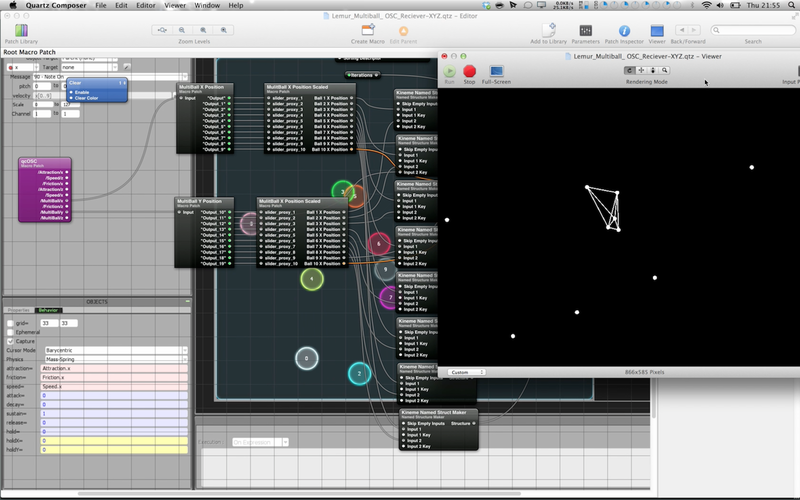 Florian Grassl (Sleeping Birds) recently posted a Max Patch for using the MultiBall object from Lemur with VDMX. This gave me some ideas to do some similar things in qc so i made these patches. Thanks to Florian for the inspiration to make this patch. Esta entrada fue publicada en BLOG -COSAS INTERESANTES, qtz y etiquetada MInuek, patches, qtz. Guarda el enlace permanente.